British people who hail from Africa and Asia constitute a significant proportion of people with tuberculosis, according to a new study. Of those born abroad, the majority of cases were from South Asia who make up six in ten people who have contacted the disease while Africans constitute one in five TB patients. London retained the main burden of infection in 2012, with 3,426 cases accounting for almost 40 per cent of the UK total, followed by the West Midlands with 12 per cent. 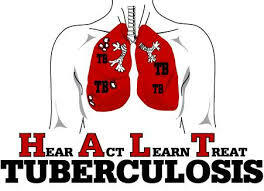 Country of origin was recorded in 96 per cent of new TB cases. As in previous years, almost three quarters of cases were in people born in countries where TB is more common. These figures are published in Public Health England’s (PHE) annual “TB in the UK: 2013 report”. It suggests that in the UK-born population, those most at risk remain individuals from ethnic minority groups, those with social risk factors such as a history of homelessness, imprisonment or problem use of drugs or alcohol, and the elderly. Dr Thomas points out that to reduce the risk of active TB disease in people coming to the UK from high incidence countries, it is essential that new migrants have good access to screening and diagnostic services. Drug resistance to TB treatment remains a problem, although the proportion of TB cases showing resistance to the first line antibiotic isoniazid decreased slightly to 6.8 per cent of cases in 2012. Dr Paul Cosford, Director for Health Protection and Medical Director at PHE, said: “TB remains a critical public health problem, particularly in parts of London and among people from vulnerable communities. Given current trends, within two years we are likely to have more new cases of TB each year in the UK than in the whole of the United States. We have therefore made TB one of the key priorities for PHE and are working with key partners to oversee the development of a stronger national approach to TB control. We will announce the details of this approach in the Autumn.